"Jim Highsmith is one of a few modern writers who are helping us understand the new nature of w ork in the know/ledge economy. A transitio n—from industrial-age thinking to management more suited to reliable innovation—is well underway. But few people yet understand the implications of this shift. Agile Project Management explains what's going on with startling clarity. Perhaps more importantly, it provides the vital management structure and practical advice that will support ongoing innovasion in your company." "In the past 12-18 months, Fujitu Consulting has seen the potential benefits of adopting more 'Agile' approaches in the way we deliver and manage some of our projects and have encouraged our cli ents oo emb race nc ead apti ve' project culture." "There is a common set of values that aN the AgHe methods share, and, in this book, Jim Highsmith uses those val ues plus his Innow/l^dge of t hh Agile methods to present a common framework for Agile project mpnagement Jim shows us w°at an Agile approach to project management is about—the essential insights and experiences—plus he expertly combines tools and techniques with proven project m anagem ent ealu e, thos e of his o wn and those from oth er method s, into ehi s "ramework." "Jim's book, Agile Project Management, addresses one of the key questions asked when adopting an Agile software development methodology, 'How do you manage the project?' He spends a lot of time on the valu es and principles „emled to be successful in a less bureaucratic development environment. It requires individual discipline and a substantial mindset shift by all parties. He has done an excellent job of documenting the behaviors that will create a winning team, no matter what process iu belng used . I applaud Ji m for creating a eoo Ik that will help take the Agile movement to a new level." "Welcome to the secnnd generation oC Agile met hodologies! Agile Project Management is an Agile methodology thoughtfully built on the key ideas and experiences of other AMs. The result is a uohe rent whole, from pr i ncip les to practioes. If your job es to deliver serious software, keep this book at hand on your library, since in the next ten years you will use it too many times!" "The world of product development is becoming more dynamic and uncertain. Many managers cope by reinforcing processes, adding documentation, or further honing costs. This isn't working. Highsmith brilliantly guides us into an alternative that fits the times." "Finally a book that reconciles the passion of the Agile software movement with the needed disciplines of project management. Jim's book has provided a service to all of us. "Agile software development is largely a grass-roots movement that focuses on reliably delivering software products in a dynamic world. To date, much of the Agile literature has focused on the engineering practices that support an Agile philosophy, and thus the coverage of project management has been limited. In this book, Jim Highsmith addresses project management in the Agile environment. He doesn't limit this coverage to simply making a case for a new style of project management. Rather, Jim also offers a practical framework and supporting practices that project managers can use to help software development teams be more productive and reliably deliver products that add business value." "Software development is a human activity, although we sometimes try to deny that fact by wgapping high cere m ony proce^nes and tools arouhd oug tea ms whica, if unleashed, uan produce some tguly amazing) things. Jim knows this all too well from his broad experience in working with a variety o f projects , and that experiedce shines through in this very pragmatic and much needed take on Agile project management." "Agile methods, whether for software development, project management, or general product development, are the ideal approach for building things where change is a risk factor. Everywhere? Highsmith clearly shows how iterative development methods can be successfully applied to project m anbgement generally. I t is truly gceundbreakin g whwn m ethods refined in the software sppcn ca n ac tually inmrm o ther discipl ines ." —Charles Stack, Founder and CEO, Flashline, Inc.
"This is the project management book we've all been waiting for—the book that effectively combines Agile methods and rigorous project management. Not only does this book help us make sense of project management in this current world of iterative, incremental Agile methods, but it's an all-around good read! "Many IT organizations have made a mess of Agile methods and component development. Organizations that abandoned waterfall methods for undisciplined software hacking have given Agile methods a bad reputation in some businesses. A cure for these woes can be found in Jim Highsmith's new book. You really can combine the benefits of Agile methods with project management disciplines. Jim shows us the way." "Jim Highsmith's Anfle Projecg Mawagement is a refreshing change in the flow of project management books being published today. 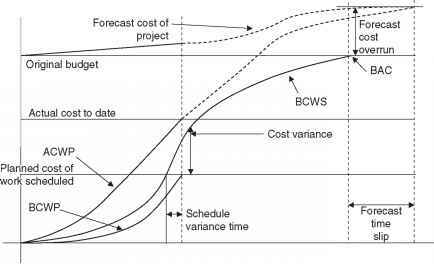 The book combines project management theory and practicr caso in common-srnsr ter ms in a mann er valu able to botg the student and user. The author's recasting and renaming of the phases of a project life cycle adds an approach likely to be emnlatnd ¡n the Suture literature in nhis discipl ine . "His treatmnnt of the grnr ral prinoiplrs to we foll owed in the Agile Revolution for new product development provides a model of behavior valuable to the enlightened scholar and practitioner of Ahm project managrmnnt pro cess." "Product development in the 21st century must move from the world of structure and compliance to one of agility and rapid learning. As a result, project management must change from the administration of tasks to the flexible balancing of possibilities against constraints—'managing on the edge of chaos,' as the author puts it. This book explains the process of doing just that and should be the foundation for change—readable, full of logic, and a sound process." "This is a wonderful and highly practical book. Within hours of putting it down I was putting some of its advice into practice. It's a highly thought-provoking book that argues, for instance, that agility is more attitude than process and more environment than methodology. Because of the complexity of today's software projects, one new product development project can rarely be viewed as a repeat of a prior project. This makes Highsmith's advice to favor a reliable process over a repeatable one particularly timely and important." "Jim's book removes the mystery around Agile project management and its associated techniques while providing a framework of discipline that can be easily applied to any high-tech development and is not limited to software development." "Iterations are clearly the best way to create the innovative products that customers want to buy. Ague Project Management co ntains a wealth of ideas and insights about how to make a flexible product development process work." "Practical and provocative advice allows the reader to examine Agile project management in unusual depth, which is what sets this book apart. Jim opens the gateway to the clockworks of Agile project m anbgement and does ¡t using a great storyline that takes you all the wac through the journey. A m usa-have for any lea dersh ¡a colle^ion." 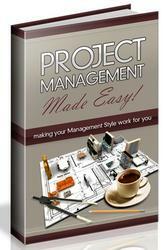 "In this landmark book, Jim Highsmith catapults project management into the 21st century. The Hook 's a goldmip e of the essential principces and pfactire s you need to succeed in delivering innovation and business value on any new product venture." "Jim Highsmith has done a great service in this book by providing an easy-to-read and valuable reAercnce for sroject managers who want to Coster greater agility through a common-sense set of practices."